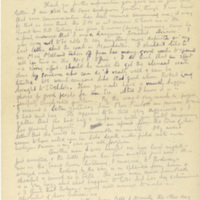 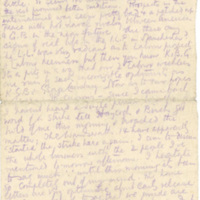 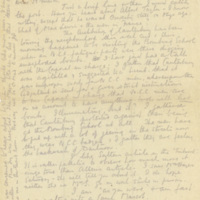 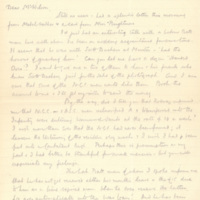 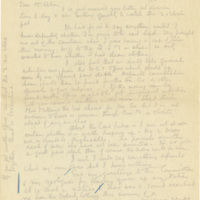 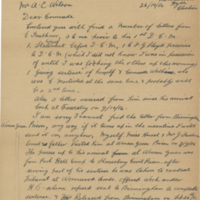 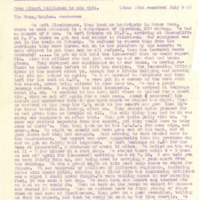 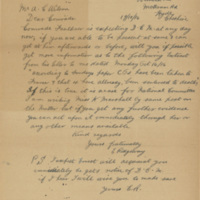 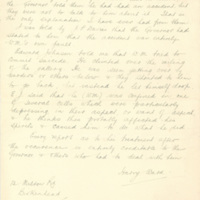 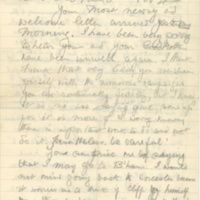 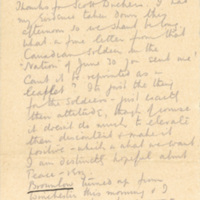 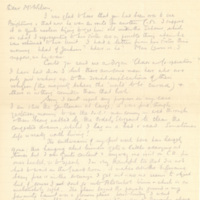 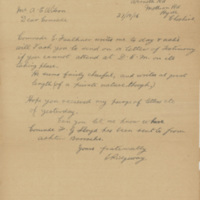 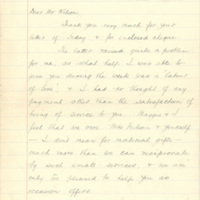 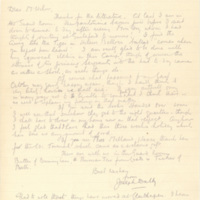 Letter from Arthur to "Old Franko"
Newsclipping: "The Censorship. 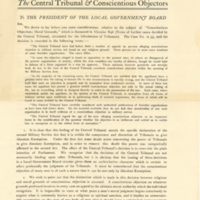 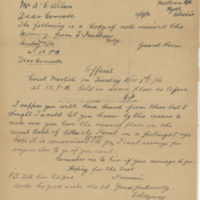 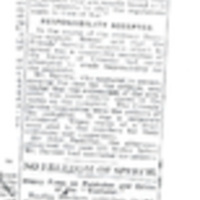 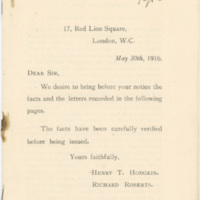 A Friend's Leaflet: Police Court Proceedings"
Military Service Act, 1916. 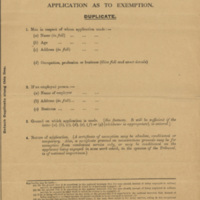 Application as to Exemption.